Angela Sykes | Yoga Kula. RELEASE | INQUIRE | BREATHE. I combine a fusion of east meets west, encouraging students to embrace a spirit of acceptance for what ‘is’ in the present moment, let go of ego and any external comparisons. I want to help others blossom in their practice and life by nurturing body, mind and spirit through the practice of yoga and a deep dedication to using the practice as a tool to self inquiry. My hope is that students step off the mat feeling refreshed, nourished and balanced. I believe yoga is the most effective tonic for a modern life. My classes range from dynamic to soothing. Expect to be guided into a meditative asana practice with time for reflection, breathing, mudra and mantra. I teach yoga in a holistic way with a deep connection and understanding of the Eastern approach to well being. I started my journey into health and yoga when I lived in Japan and deepened my practice by living in India. I set up Kula to grow a like-minded yoga community in Leeds. Yoga is such a big part of my life and has given me so much. Kula is my way of sharing the amazing transformative benefits of practicing yoga. I want create a ripple effect in peoples lives – helping others to live in a positive way and influence those around them. I have studied with world-renowned teachers in both India and the west including BKS Iyengar and his associates in Pune, Bharat Shetty and the Kumar brothers Vijay and Vinay in Mysore, India. My further training in the UK and India has been vast and varied with senior teachers including David Swenson, Shiva Rea, Julie Gudmestad and Jambo Dragon. I continue to expand my yoga knowledge with regular further yoga study and opportunities for self inquiry and development through vipassana meditation, jung shim and regular trips to India. 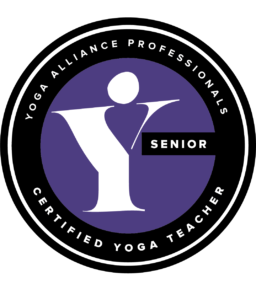 Angela is as a Senior Yoga Teacher (SYT) accredited with Yoga Alliance Professionals.